Stratton Mountain is the perfect place to rent a condo. From the excellent skiing and riding in the winter to hiking and swimming in the summer, the fun at Stratton never seems to end. Wohler Realty Group has specialized in Stratton real estate for years, and no one knows these properties better than our team. If you have any questions about the properties listed below, don't hesitate to contact us. We would love to hear from you! Search Smarter: Register to save your favorite properties and receive updates when similar condos become available. I have a question about the property at Mountain Reach Trailside Luxury Stratton VT (#X19195847). 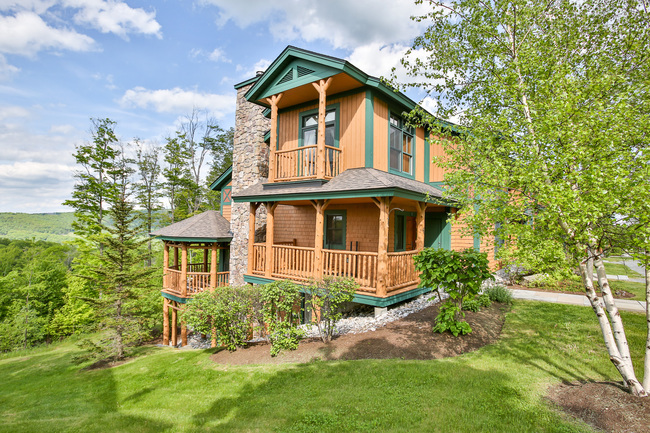 I would like to schedule a visit for the property at Mountain Reach Trailside Luxury Stratton VT (#X19195847). • Townhouse • Resort Location • Ski-in / Ski-out • 4 Bedrooms + 3 Bathrooms • 1 King • 1 Queen • 2 Twins • 1 Bunk Set • Wood-Burning Fireplace • Garage • Hot Tub Located in the desirable Snowbridge Resort community is this beautiful trailside townhouse. With an open floor plan on the main level along with 4 bedrooms and 3 bathrooms, you'll find plenty of room to entertain family and guests throughout the ski season. The home features an updated kitchen with wood floors, grand stone fireplace in the great room, large mudroom, garage, and a hot tub for relaxation after a long day out on the slopes. Make this your ski-in/ski-out townhouse today! I have a question about the property at Trailside Snowbridge Stratton VT (#X16831656). I would like to schedule a visit for the property at Trailside Snowbridge Stratton VT (#X16831656). • Townhouse • Resort Location • Trailside • Shuttle Access • 4 Bedrooms and 3.5 Bathrooms • 3 Queens • 2 Twins • 1 Wood Burning Fireplace • Hot Tub • Garage This trailside townhouse allows you the opportunity to enjoy skiing in or out at your convenience from one of Stratton's most prestigious communities. The home is meticulously kept and beautifully decorated with tons of charm and space. You will find 4 maintained bedrooms, 3.5 bathrooms, a comfortable den, lovely Hickory floors, massive stone fireplace, and cathedral ceilings in the living room. It offers an ideal floor plan with enough room for everyone to spread out and enjoy. The ideal skiing home at the right location. 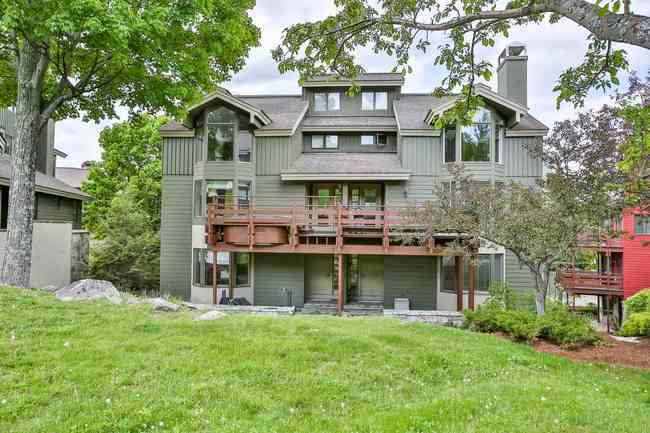 I have a question about the property at Snowbridge 4BR/3.5BA Stratton VT (#X99188821). 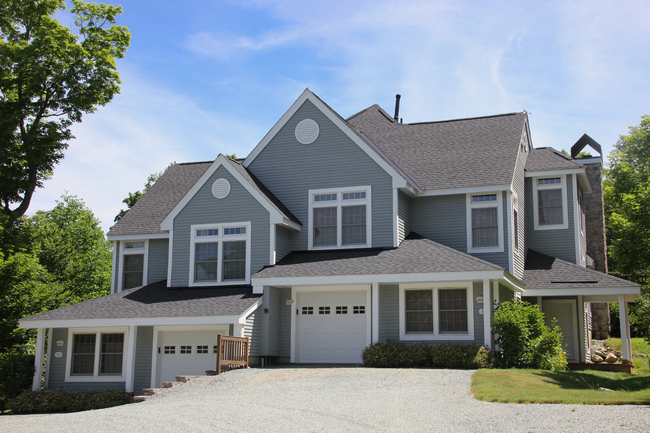 I would like to schedule a visit for the property at Snowbridge 4BR/3.5BA Stratton VT (#X99188821). • Townhouse • Resort Location • Ski-in / Ski-out • 3 Bedrooms + Loft and 3.5 Bathrooms • 1 King • 1 Queen Pullout • 2 Twins • 2 Bunk Sets • Sleeps 10 • Wood-Burning Fireplace • Garage This incredible trailside location is unrivaled and you will literally ski out your door to the gondola and 6-pack in less than a minute! Situated directly on Old Logger Trail, you'll enjoy skiing home for lunch and après ski gatherings. Featuring a great room with wood burning hearth and cathedral ceilings. The open floor plan is ideal for entertaining and includes a granite kitchen with island and spacious dining area. Offering 3 bedrooms + loft and 3.5 bathrooms, the unit sleeps 10. It doesn't get any better than this! I have a question about the property at Snowbridge 3 BR + Loft Stratton VT (#X14160480). I would like to schedule a visit for the property at Snowbridge 3 BR + Loft Stratton VT (#X14160480). • Townhouse • Resort Location • Ski-in / Ski-out • 4 Bedrooms and 4 Bathrooms • 1 King • 1 Queen + Pullout Queen • 2 Twins • 1 Bunk Set • 3 Wood-Burning Fireplaces • Garage Trailside Front and Central. You can't get any closer than this! This fully renovated trailside townhouse is directly on the trails and in the heart of the Stratton Mountain Resort Village where you can walk to everything. One of the largest town homes available, this unit not only has direct access, but nice views of the trails and the Magic Carpet! This four-bedroom floor plan features cathedral ceilings, 3 fireplaces, expanded kitchen, wet bar and dining area. With wonderful southern exposure, you'll enjoy vistas and a front row seat to everything. This has long been the resort's coveted location and one of the few units of this floor plan with direct access to skiing, mountain views and such a wonderful location. Amenities abound. Sports Center eligible. Enjoy Stratton’s skiing in complete luxury. I have a question about the property at Mountain Reach Luxury Stratton VT (#X34036362). 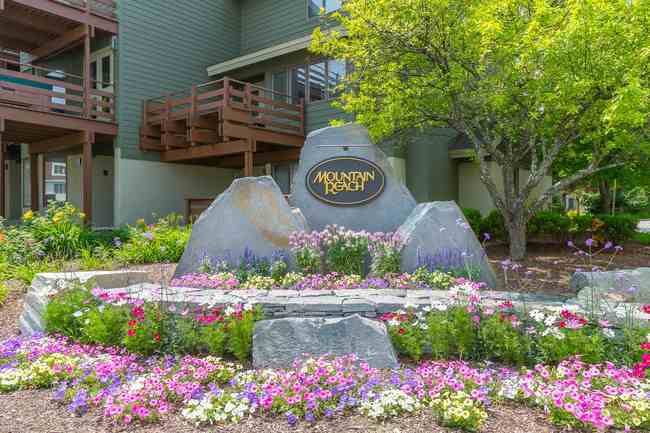 I would like to schedule a visit for the property at Mountain Reach Luxury Stratton VT (#X34036362). • Townhouse • Resort Location • Ski-in / Ski-out • 4 Bedrooms and 3.5 Bathrooms • 1 King • 1 Pullout Queen • 2 Twins • 2 Bunk Sets • 3 Wood-Burning Fireplaces • Garage Trailside Front and Central. You can't get any closer than this! 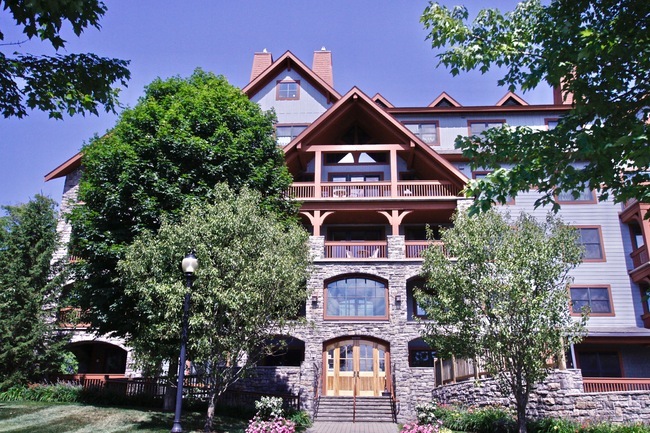 This gorgeous townhouse is directly on the trails and in the heart of the Stratton Mountain Resort Village where you can walk to everything. This four-bedroom floor plan features cathedral ceilings, 3 fireplaces, wet bar and dining area. With wonderful southern exposure, you'll enjoy vistas and a front row seat to everything. 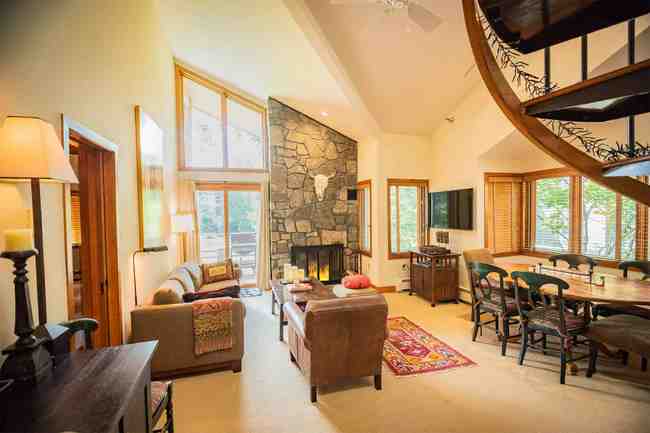 This has long been the resort's coveted location and one of the few units of this floor plan with direct access to skiing, mountain views and such a wonderful location. Amenities abound. Sports Center eligible. Enjoy Stratton’s skiing in complete luxury. I have a question about the property at Trailside Mountain Reach Stratton VT (#X99009876). I would like to schedule a visit for the property at Trailside Mountain Reach Stratton VT (#X99009876). ·Townhouse ·Resort Location ·4 Bedrooms and 4 Bathrooms •1 King •1 Queen •4 Twins ·Trailside and Shuttle Access ·Hot Tub and Garage ·Wood Burning Fireplace Ski directly onto the trail from this competitively priced Solstice Townhouse. 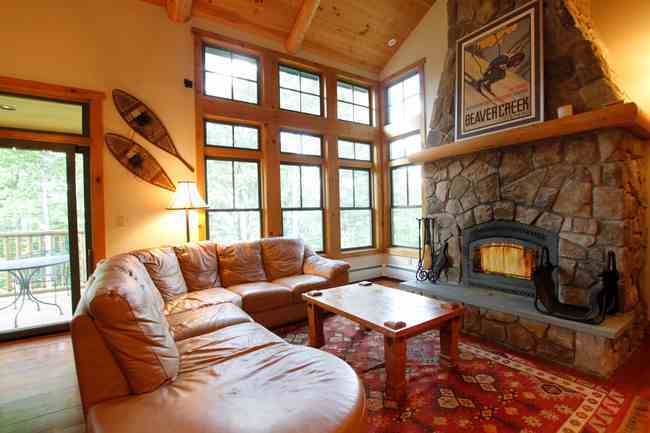 This turnkey residence offers an Exceptional Ski- In Ski -out location. Head out for first tracks and back for lunch! This is truly trail side living at its best! Cozy up in front of a dramatic wood burning fireplace after a powder day and enjoy the open great room, ideal for apres ski with friends and family. Gourmet kitchen with granite countertop and island. Wood floors, cathedral ceilings, custom cabinetry and walls of glass with sunny orientation. The floor plan features four bedrooms, 2 en-suite with granite and tiled baths. The den offers another gathering space. Spacious entry, mudroom and garage. Private stone patio with a hot tub that you'll enjoy beneath the winter's night sky. Amenities abound with snowmaking for your trail, an outdoor community year-round heated pool and hot tubs, private shuttle to the Base Lodge. I have a question about the property at Solstice Stratton VT (#X82756299). I would like to schedule a visit for the property at Solstice Stratton VT (#X82756299). • Condo • Resort Location • 3 Bedrooms + Loft and 3.5 Bathrooms • 1 King • 1 Queen • 2 Twins • 1 Pullout Queen • Sleeps 7-8 • Shuttle • Fireplace • Hot Tub • Pool • Garage • Sports Center Access This summit level, luxury upscale Hearthstone unit is in an extraordinary location with dead-on views of Stratton Mountain and the snow-covered trails. Gourmet kitchen, wood flooring, and incredible loft. Enjoy the ski season from the heart of the Resort at the Stratton Commons. Convenience abounds as the slopes and village are a short stroll away. Hot tub and year-round heated pool. Underground heated parking and Sports Center access. Simply Extraordinary! I have a question about the property at Hearthstone Luxury Stratton VT (#X44438853). I would like to schedule a visit for the property at Hearthstone Luxury Stratton VT (#X44438853). • Townhouse • Resort Location • Shuttle • 4 Bedrooms • 1 King • 1 Queen • 2 Twins • 1 Pyramid Bunk • 4 Bathrooms • Wood-Burning Fireplace • Deck • Garage • Sports Center Access Treetop homes are characterized by a beautiful Adirondack style. This condo boasts a beautifully appointed with gourmet/Viking kitchen, wood floors and wood burning fireplace, multiple bedroom suites, spectacular views and one car garage. This mountain home is the place to be! I have a question about the property at Treetop 4 BR Stratton VT (#X84794020). I would like to schedule a visit for the property at Treetop 4 BR Stratton VT (#X84794020). • Townhouse • Resort Location • Shuttle • 4 Bedrooms • 1 King • 2 Queens • 3 Bunk Sets • 3 Bathrooms •Sleeps 12 •Game Room • Fireplace • Deck • Garage • Hot Tub Enjoy convenience to the Stratton Mountain slopes from this great Treetop Townhouse unit located on Resort. The home features Adirondack-style finishes, gourmet kitchen, cathedral ceilings, stone fireplace, wood floors, mudroom, deck, one car garage, hot tub, and stunning views. An added bonus is the lower level game room which includes multi arcade games, pinball & an air hockey/ping pong/billiard table. With room to sleep 12 and 7 flat screen TVs, you can entertain all season long. Winter in this Treetop today! I have a question about the property at Treetop 4BR/3BA Stratton VT (#X60617110). I would like to schedule a visit for the property at Treetop 4BR/3BA Stratton VT (#X60617110). •Trailside Condo •Villager Lift •Resort Location •Trail Views •Wood Burning Fireplace •Cathedral Ceilings •Newly Renovated •3 Bedrooms & 3 Bathrooms •1 King •1 Queen •2 Bunk Sets •Sleeps 8 •Gated Parking •Parking for 2 Vehicles Experience a luxurious Stratton winter in this beautiful Mountain Watch unit. With an amazing location close to the Ski Trails and Stratton Village, ease and convenience awaits you. The home features trailside views, cathedral ceilings, updated kitchen w/ granite counter tops, wood burning fireplace, 3 bedrooms, and 3 bathrooms. Nothing will feel better than returning home to Mountain Watch after a long day on the slopes and relaxing around the warm stone fireplace with family and friends. Don't hesitate, make this unit your ski getaway today! I have a question about the property at Luxury Mountain Watch Stratton VT (#X38564721). I would like to schedule a visit for the property at Luxury Mountain Watch Stratton VT (#X38564721).